Traumatized by vicious poltergeist attacks that lasted five years, Barbara Parks never imagined that her deep-rooted fear of ghosts would disappear. A momentous turning point occurs when, still mourning the sudden death of a beloved friend, she receives a miraculous visit from him. This joyous experience marks her first step toward healing—and opening up to the world of spirit. 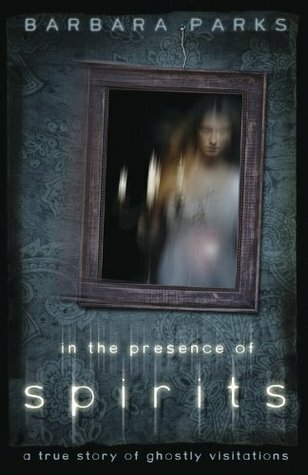 In the Presence of Spirits chronicles Barbara’s uplifting journey of gradually accepting the clairvoyant gifts that allow her to see spirits. She shares dramatic and heartwarming stories of spirits who turn up everywhere: at home, on vacation, and accompanying her patients. From the departed uncle who protects Barbara’s young children to the child spirits who bring comfort to their parents, these amazing true tales are convincing reminders that our loved ones are never far away. Barbara Parks is a microbiologist and podiatrist; working in her own private practice for the last twenty years. Her paranormal experiences have often been at odds with her scientific background and it has been a circuitous journey towards the acceptance of her abilities. Barbara's clairvoyance showed itself early in life and constitutes some of her earliest memories. She recalls countless faces which would gather at her bedside, a nightly ritual she found to be a comforting aspect of her day to day life. As time went on however, the ghostly manifestations became progressively more sinister. Innocent acceptance soon gave way to unadulterated fear. Her first book, In the Presence of Spirits, documents Barbara's journey toward the embracing of her clairvoyance, and the ways in which it has enhanced her life. Although her early recollections bear all the hallmarks of a Hollywood horror movie, her story emerges as one of inspiration and insight. Although Barbara continues to run her podiatry practice in the Perth Hills, her passions lie in investigating and writing about the paranormal. She is also a capable guest speaker and thrives on having an audience with which to share her passion! She is a married mother of three children, all of whom have shown signs of inheriting their mother's sixth sense. Barbara's second book, Embracing the Spirits, was published in 2013. Her third book, Surrounded by Spirits was published in January 2015. This book started out pretty slow but the writing is easy to read. The way that the story is written makes the content believable. I just found that i didn't really enjoy the last few chapters boring and unnecessary, which is why i could only give this book a 3 star rating.